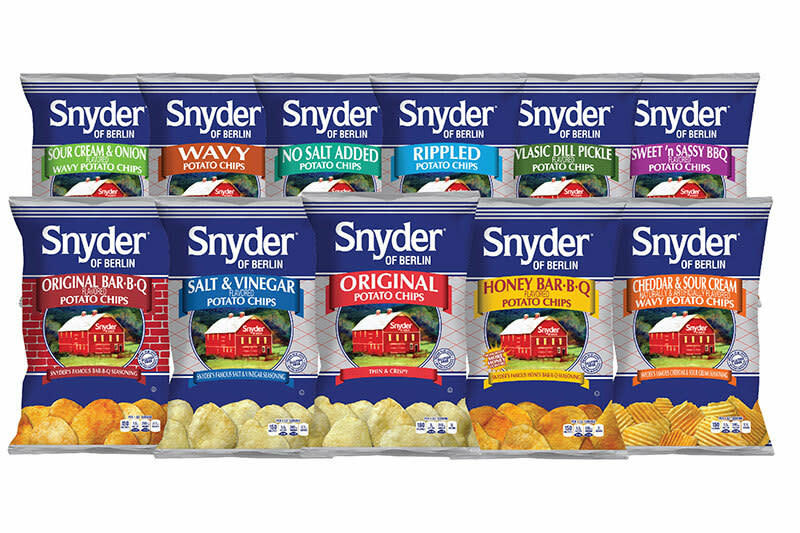 From its humble beginnings to today, Snyder of Berlin has stood for quality and good taste. Our factory is surrounded by Somerset County farms, nestled in Pennsylvania's Laurel Highlands. At 2,323 feet, we're the second highest town in PA (after nearby Seven Springs). 320 of our neighbors work here at the plant and each year we put about $7.5 million into the local ecomony. The dream of the people of Berlin to build and operate a potato chip factory represents a dream come true. The plant built and put into operation in 1947. It has grown from a nearly manual operation to one of automation. It also has expanded seven-and-a-half times. Many tasty products are produced at the plant . Potato chips are made in flavors of plain, barbecue, sour cream, salt and vinegar, cheddar, and honey bbq.. There are baked curls, plain and cheese-flavored puff-n-corn, cheese curls, and most recently PUFF-N-TWISTZ & PUFF-N-BITES. 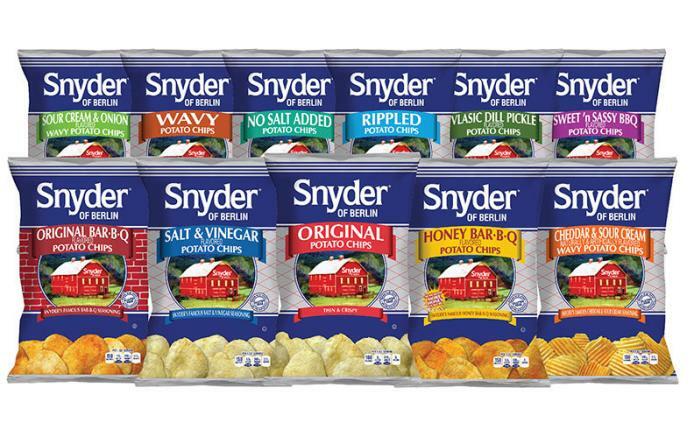 In addition, Snyder sells related snacks -- pretzels, dips, porkskins, other meat snack items, cookies, crackers, and nuts.